I had recently developed ‘trigger finger’ which was not at first painful but which began to make my hand ache. The pain increased as it spread into the palm of my left hand. My palm was becoming slightly swollen and I was experiencing discomfort whilst driving. The treatment was explained to me and within 10 minutes of starting treatment I could feel a sensation along my left ring finger and my palm was less painful. I have had intermittent bouts of pain in my right thumb for quite a long time but the pain was intensifying and I was finding holding items problematic. I had laser treatment for this condition and the pain eased rapidly and my thumb became more flexible. The palm of my hand had lost its swelling and was no longer painful. My finger was still tingling but not at all painful. It was still slightly difficult to bend my finger. My thumb remained flexible and pain free. All pain and swelling had disappeared and I could form a fist with my fingers without the left ring finger locking in a bent position. My thumb remained pain free. I took the opportunity to undertake tasks which involved gripping with my right hand. I was able to do housework, gardening and drive easily. I did experience a slight ache in my left palm by the evening but this quickly eased with resting my hand. My right thumb has begun to ache a little at its base but the intense pain has not returned. I have a second treatment booked as my right thumb had been causing a higher level of pain and as I am right handed it is difficult not to use it. I anticipate a fast response to the next laser treatment. Having been a regular client of soft tissue therapy and recently of osteopathy I had no hesitation in booking for laser treatment on my hands. The immediate relief from aches and sharp pain was amazing. I had hoped for some relief and an increase in flexibility but the results from laser treatment was startling and there was no discomfort at all whilst I received the treatment! 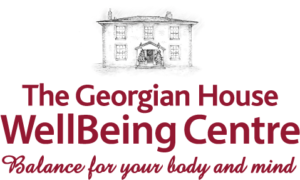 “I can really recommend the holistic approach of the team at Restoring Health. I recently experienced a week of combined soft tissue therapy and psychotherapy (from Feel Well Live Well Therapies) to address a back problem that I have had for a number of years. I have received advice and guidance for the future whilst feeling that I was in a very safe place and I hope to visit again to review my progress. Wow! What a great crew you were TEAM CASTLE 2016 – Thank you! Deborah, Wayne, Matt and Andrea. Oh my goodness; what can I say?! You guys have some stamina. You were amazing getting through all those desperate riders and making them feel better. I heard so many people so gratefully saying that you added so much to the event. Thank you for your generosity! Also raising nearly £200 for the charity was testament to your hard work. I have been having Hydrotherm treatments with Beth throughout my pregnancy and it has been the best massage I have had using the Hydrotherm system. It is so comfortable and relaxing unlike normal pregnancy massage having to lay on your side. It is soothing and warm and mounds to the shape of your back. I would highly recommend it to everyone, not just pregnant ladies! We booked Restoring Health to provide an on site course for our employees at our juice factory. The objective was to empower our employees to start considering their posture and backs more in the workplace, to avoid back pains and other muscular skeletal issues. Restoring Health to the rescue! We had a 3 hour course and the feedback from our team has been highly positive. All felt that the course was completely tailored to the relevant issues they face in their jobs everyday. The team from Restoring Health were professional but still relaxed enough to make everyone feel comfortable, and even have quite a lot of fun. We have certainly had our eyes opened as to how we could be damaging our backs and bodies at work, and have been given some invaluable techniques to combat this. As an employer, couldn’t ask for more and fantastic value for money too. Thank you! We saw just over 85 walkers at the massage tent at the Pink Ribbon Walk at Leeds Castle and the overall response was great! “How did I find the Hydrotherm System? It was amazing, very good! I had my first Hydrotherm treatment last week and it was very deep, much deeper than I expected. I’ve just come from my second one and am so chilled out and relaxed – it’s lovely to be massaged lying on that warm cushion. It was a unique experience and I would most definitely recommend it to my friends! After 2 weeks of PEMF therapy, I have more energy, increased mobility and certainly a lot less pain. I have even managed to reduce my medication by 50%. I look and feel healthier as if my body is beginning to work as it should again. Life changing! Such an excellent service, professional and personalised care. Every client is looked after so well and you leave feeling much better and spirit lifted! It takes commitment to keep up the exercises but it’s worth it! Woke up on the Monday morning with Acute pain in my shoulder and not being able to move my arm[ I couldn’t even change the gears of the car] Texted Restoring Health to see if Wayne was able to see me that day, which he did. By the Thursday I had about 95% of movement back and could actually sleep at night without being woken up with the pain every time I moved. Thanks guys!